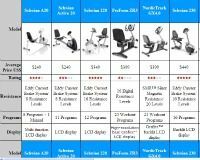 If you are researching Fitnex exercise bikes then you have done your homework! While many people have never heard of the brand, it is one of the best-built, best-priced, best value brands on the market today. 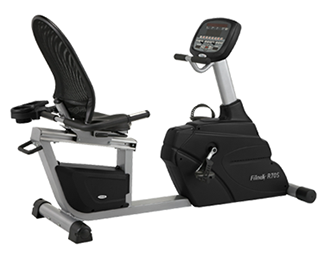 The Fitnex exercise bikes are made by Fitness Master, Inc (FMI), which also makes Aristo, the Steelflex Strength Line, X-Series bikes, and Professional Power Master. FMI has made bikes, treadmills, and elliptical trainers for over 20 years under other names but now has placed the Fitnex badge on residential and light commercial cardio products while the Aristo label is on the commercial line. Fitnex offers one of the most expansive line-ups of recumbents, uprights, and indoor exercise bikes. They sell residential models in all three styles in the $900-$1,500 range. Features on these bikes include everything you want for comfort and convenience including whisper quiet operation, easy programming, elbow pads on the racing handlebars on the indoor cycle, compact footprints to save space, wireless pulse monitoring, and more. Current models include the B70 Upright Bike, the R70S Recumbent Bike, the X Momentum, the X Velocity and the X5 Kids Bike. One stand-out model is the Fitnex X Velocity indoor bike which has a precision-machined, stainless-steel 44-pound flywheel, anatomically designed seat, stainless-steel handlebar slider, chrome-plated seat post, coil-spring shock-suspension system, leather brake pad, a micro-adjustable seat and handlebar with quick-release levers, high-performance indoor cycling pedals, and more. Reviewers rate the lower priced models above average, and are highly positive on the more expensive $1,000-plus models. Happy customers report the bikes are heavy and solid with no wobble, the electronics are easy to use, and the ergonomics – seating and the distance to the console and handlebars – adjust for the comfort of any size user. 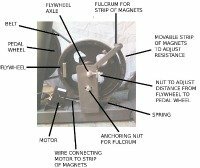 Fitnex exercise bikes are stylish, well designed, and come backed by decent warranties covering parts and labor. They offer better value than many other competitor models because of the level of quality delivered at such reasonable prices. Fitnex R70 Recumbent - The Fitnex R70 provides one of the quietest, smoothest rides on the market thanks to superior parts and magnetic resistance. Fitnex B70 Upright - A commercial grade, extremely rugged model for in-home use. We like the stability and extremely quiet ride. 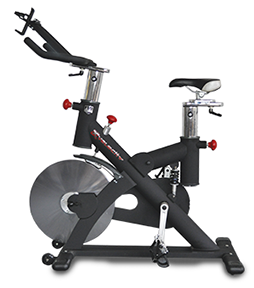 Fitnex X Velocity Training Bike - A club-quality spin bike that can handle hard-core power training for every day demanding workouts; rated high in all categories. Fitnex X Momentum - The Fitnex Momentum offers multiple ways to adjust the seat position and adjustable handlebars for the most comfortable ride possible; a solid bike with premium parts.